The aim of a fire risk assessment is to identify the fire hazards in a building, assess the risk to life of those who occupy the building and make recommendations to eliminate or mitigate the identified risks by identifying suitable control measures. First, identify any fire hazards. This could be from heaters, lights, naked flames, electrical equipment, tasks like welding or grinding, cigarettes, matches etc. Next, identify the people at risk. If there is a fire, everyone is at risk. 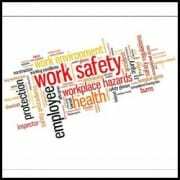 You should be thinking if the risk is greater for some because of when or where they work, people who aren’t familiar with the premises such as visitors or customers, you should also take children and the elderly into account as these are more vulnerable than others. Evaluate your findings and act upon them. You should look at what you have found in steps 1 and 2 and look at eliminating or reducing the risks. Step number 4, you should record, plan and train. This means record the fire hazards you have found and what you have done to control these. There also must be clear plan on how to prevent fires from happening and how you’re going to keep people safe if a fire does happen. If you share a building with other companies, you must coordinate your plan together. You should make sure your staff know what to do in the event of a fire, this might include fire training. Lastly, you should review your FRA. If you make any significant changes the FRA will need to be changed to reflect this. Fire Risk Assessments should be completed by competent people and there is a wealth of information available to help. The government have produced comprehensive fire safety risk assessment guides covering several areas of industry. In addition, local Fire Service websites contain lots of useful guidance, advice and template documents. 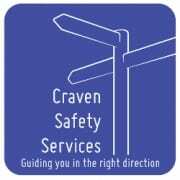 However, should you require, Craven Safety Services can carry out a comprehensive Fire Risk Assessment of your premises. For more information watch our videos on Fire Risk Assessments and Fire Plans here. How to investigate an accident or incident What is reasonably practicable?